For my first day I started with strength workouts that focused on my back muscles. I went a little easy since it was my first day back. I did always 3 sets of as many as i could before my muscles gave out. WORKOUT TIP #1: Make sure to always stretch before and after your workout. Today was the first day I worked out twice in one day. Since I worked out in the morning I did feel a little bit more energized than usual throughout my day. I also work out later at night which made me feel tired by like 10:30 pm. I was still not ready to die by running so I decided to ride my bike today. I was only going to do about 3-4 miles but instead I did a 6 mile bike ride!! It was probably the longest distance I have done so far! so I am proud of myself. Since I did not have my “trainer” aka my boyfriend today I went on Pinterest (Which has amazing workouts) and picked a tricep & Bicep workout to follow for today. I am already sore form yesterday! got to streach and keep going. WORKOUT TIP #2: Keep a challenging but comfortable weight where you can keep a good form in order to be effective. Today I decided to give my my muscles a rest and have a cardio packed day and focused on working up a sweat. I decided to run 🏃 two miles today! 5.4 speed. Try to get to my goal time which is 12 minutes. I did it in 18💔. I took some rest in between. Also it was my first time running in a while so your girl was heavy breathing. Also on the treadmill I did incline 9.0 and speed 4.0 and walked for another 15 minutes. My goal for cardio is 30-40 minutes. But the average that is recommended is 30. 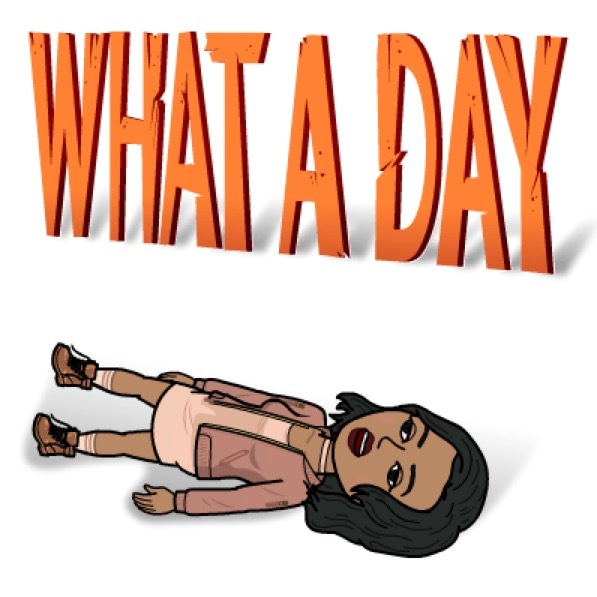 Before I mention what my next workout was it is ……VOCABULARY TIME!!!! 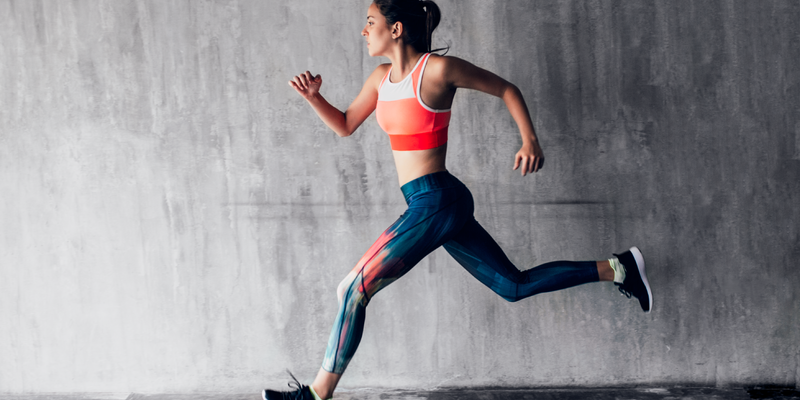 HIIT is the best type of interval training to burn fat fast. I did this ten times ..aka I died. If you do not feel comfortable you can always decrease the numbers to 10 squats or 10 sit-ups and every week work your way up. 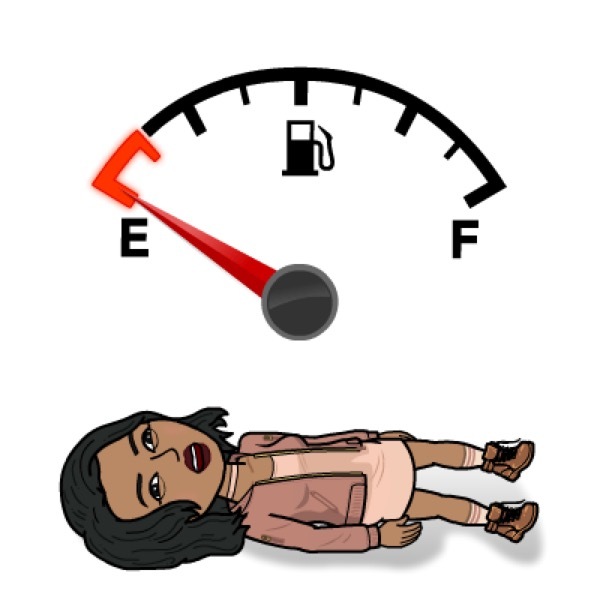 I actually pushed myself too hard today and felt super nauseous and dizzy after the gym. SO KNOW YOUR LIMITS AND EAT SOMETHING BEFORE YOUR WORKOUT. Here are some tips if you are just starting off! Today I decided to work on chest. Chest is a muscle that a lot of women are afraid to workout. When in reality sometime could assist women in perking up their breast or eliminating that armpit buldge that a lot of us feel self conscious about when we wear tank tops. –>Make sure to use moderate weight that can get you a good pump but also will not strain your muscles. For cardio I hoped on the stair master which in my opinion is harder than doing sprints on the treadmill. 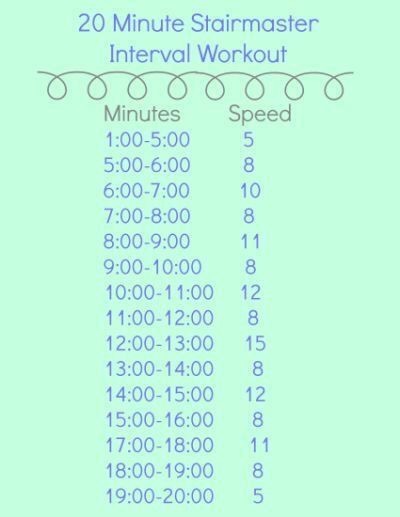 I did an interval workout which consists of total of 20 minutes. **** I honestly was struggling to finish, my asthma was acting up. I know is because I am out of shape with time the breathing will get easier. This machine will work up a sweat where to be honest it literally drips! LOL. Bryan and I had to unpack, we have been living out of boxes this past week since we moved from Orlando. So we decided to take a rest day from the gym and get settle in finally. Which to be honest I am thankful for because I can barely lift my arms to tie my hair! 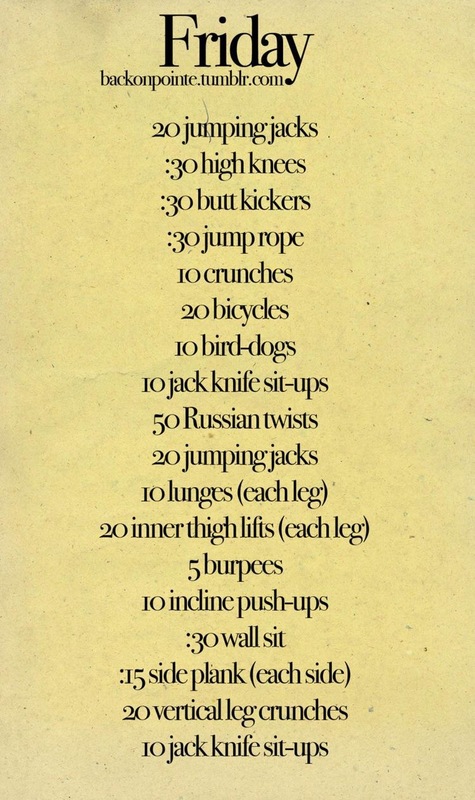 For my readers that would like to workout 6 days a week here is a quick at home workout you can do to remove that muffing top! LEGGGGG DAYYYYYY! Yes I am always excited about leg day….Even though I always regret it about two days later. I mixed legs, with Plyometrics, and HIIT. You can either do these in between sets (which is what I do), or you can do them all together. *** As I mentioned before you can either do them between sets or all together but for affective Heart rate pump do this workout 3 times. Today was intense! I pushed myself to do heavier weight and reps until failure. It is important to know your LIMIT but also do not UNDERESTIMATE yourself! HAPPY SUNDAY! Week one is officially DONE! time to keep on going towards week two. We followed the Day one workout for back day, except I increased weight by 5-10 lbs depending on the machine and how comfortable If felt. I noticed by increasing weight my heart-rate increased and I was sweating way way more. I went to the gym about 8:30 pm which was pretty late assuming that it was not going to be packed but obviously I was wrong LOL. So I focused more on strength training. I am going to start doing mini HIIT workouts in between sets to get the heart pumping and burn more fat! Killed arm day today since my arms are one of the part of my body that I am most self-conscious about other than my belly! I went solo to the gym today I was a bit nervous but I crushed it, and I am proud of it. To start I did A HIIT interval workout on the elliptical. It is important to night just swing your feet effortlessly. You have to tighten you abdomen and flex your legs as you are running to get the full effect . For my Second part of my cardio I did another HIIT workout with abs combined. I love HIIT workouts because you can reach your target heart rate and burn more FAT! which is the ultimate goal. Today Triceps and Bicep were the main focused, since I am trying to eliminate my “bat wings” I increased weight and increase reps in order to get a better pump. Happy HUMP DAY! A lot of people have been mentioning to me that they have been utilizing the workout page to get ideas in the gym and I just want to give a little shout out and say thank you! It truly means a lot. Well today was Wednesday so you know what that means……… SHOULDERS 🙂 Unlike last week, I dedicated shoulders got their own strength training day. ***With shoulders it is important to squeeze and focus on that specific part of your arm to get a full effect! Every day I am going to try and do 30-40 minutes of cardio. The first 20 minutes I will use a cardio machine and the other half a HIIT workout. To distribute the amount of time so it can go faster. Here is a little treadmill HIIT workout for beginners. Today was a rainy day in sunny South Florida so Bryan and I decided to have a movie day filled with horror, action celery sticks and hummus. ****If you are following my workout schedule this will be day one of two rest days! LEGGGG DAYYY! the day that we should dread, because if you don’t you are not doing it right!! After we were done with machines and free weights we did walking lunges and side body weight squats up and down. Which was 10 each, down the walkway squats and up walkway lunges. We did this 8 times. For cardio our legs were super dead so we decided to kill a little 11 minute HIIT stair master workout. Since I worked out most of my muscles this week I decided to ditch strength training and kill cardio today 🙂 here are my workouts!! Today was Memorial Day! so I took a day off and enjoyed the beach with my family. So embarrassed that I have missed two days of blogging, I forgot to log for the 30th 😦 which made me forget all my workouts. I worked out bicep and tricep so you guys can use last weeks workout as a guide since it was similar. Today was my birthday so I decided to wake up early and get a workout in since I was going to mostly likely eat cake lmao!! Here were out back workouts for today. ***I have been increasing weight every week with a comfortable weight of course, you want to sweat it should NOT be easy to lift. You want to push your-self to the limit every rep in order to get ultimate results. Today’s decided to do arms again since they are the part of my body that I am insecure the most! Today was the first time I did Legs by myself! which I actually was excited for since it is my favorite muscle to workout. Since I have been lifitng 3 weeks strong, I am going to go back to doing legs twice a week. Focusing on booty one day and the other hamstrings and quads. 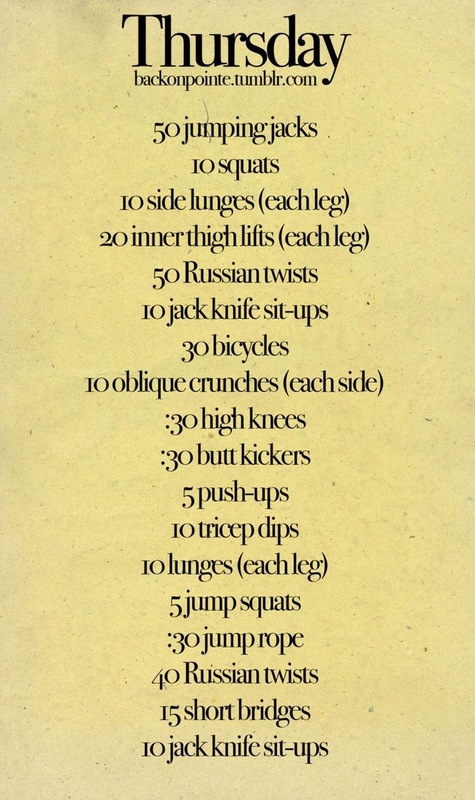 I LOVEEEE base body babe’s workouts! you can go to their website http://www.basebodybabes.com or simply look out for their workouts on pinterest! ****Make sure you PUSH YOURSELF legs are a huge muscle and the toughest to obtain. It is a REST DAY!! SO enjoy your Sunday. I will be meal prepping and getting ready for BONNAROO! Hey ya’ll I know it has been a while! I AM SORRY! Just Bonnaroo was in the middle of nowhere in Tennessee and it was so tough to get service. Unfortunately sorry to disappoint but I did not workout as much as I was trying to find ways. I walked a lot since the festival is about 700 acres! And danced for hours. Simple shoulders & Cardio day today. I defiantly underestimated it, I woke up very sore! It is $12.99 a month but it is very worth it specially for those who have never workout out before or never had a workout routine. For those who hate the gym you don’t need a membership for this app, jus buy the equipment online or at walmart.